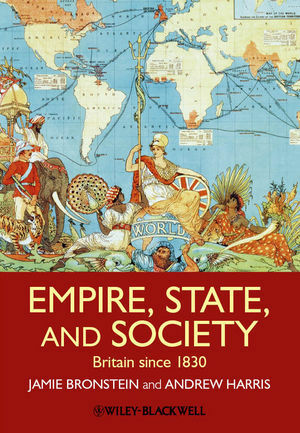 Empire, State, and Society assesses the external and internal forces behind Britain's transformation from global superpower to its current position in the twenty-first century. The authors provide an accessible and balanced introduction, which is thoughtfully organized for ease of use for both students and teachers. Jamie L. Bronstein is Professor of History at New Mexico State University. She is the author of three books: Land Reform and Working-Class Experience in Britain and the United States, 1800-1862 (1999), Caught in the Machinery: Workplace Accidents and Injured Workers in Nineteenth-Century Britain (2008), and Transatlantic Radical: John Francis Bray (2009). Andrew T. Harris is Associate Provost for Faculty Affairs at Bridgewater State University. He is the author of Policing the City: Crime and Legal Authority in London, 1780-1840 (2004).